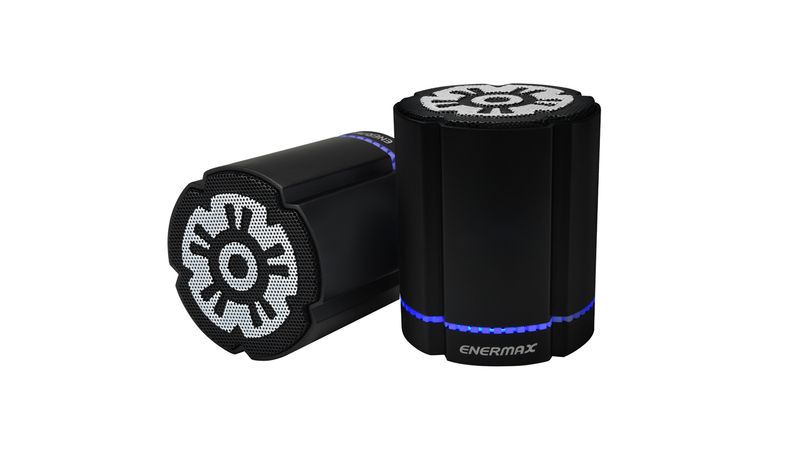 Enermax STEREOTWIN speakers feature Bluetooth CSR® V4.0 chipset to provide quick and seamless connectivity for true wireless stereo sound. The aluminum exterior presents a modern and stylish feel. 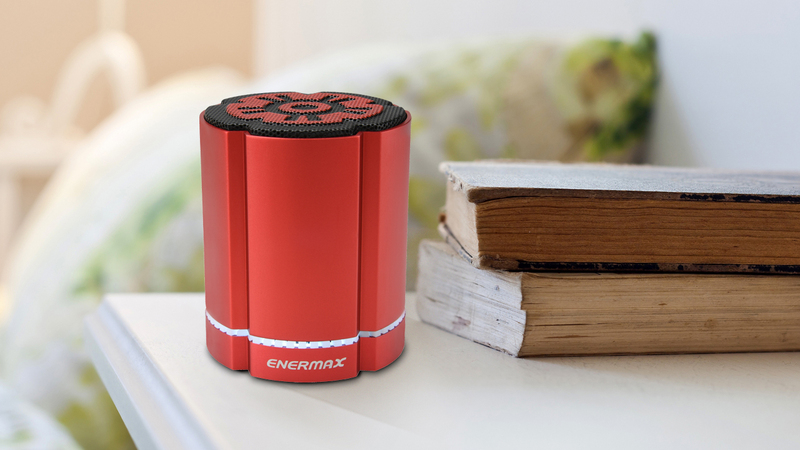 Equipped with Enermax DreamBass™ technology, STEREOTWIN delivers amazing high-definition and deep bass sound. You can enjoy high-quality wireless stereo sound any time, any where. A single STEREOTWIN can generate powerful sound. 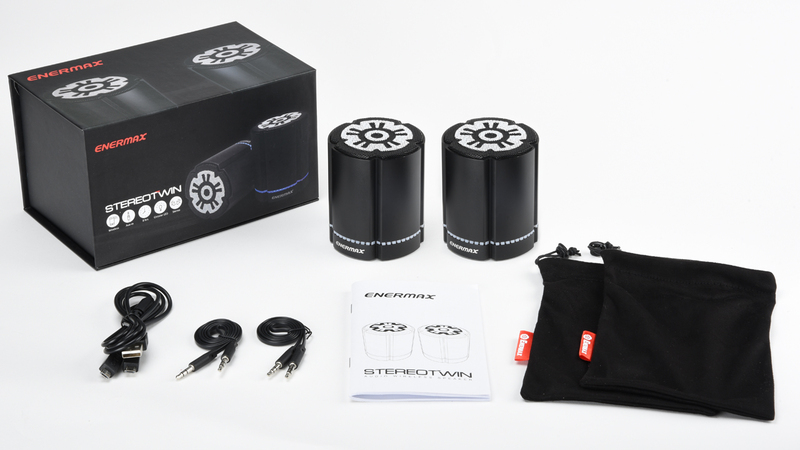 Pair 2 STEREOTWIN via Bluetooth connection (the operational range up to 20 m) and form a dual-channel stereo speker set. 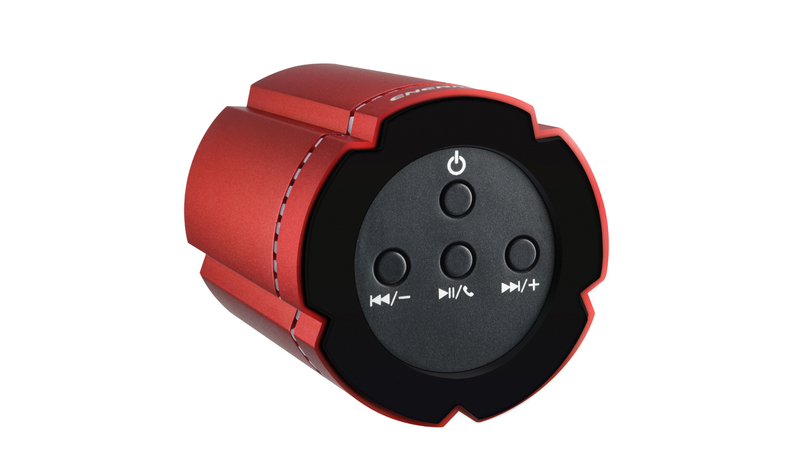 Built-in advanced CSR® V4.0 chipset offers quick and seamless connection to smart phones, tablets or other Bluetooth devices, creating high-quality music streaming to amplify your listening experience. 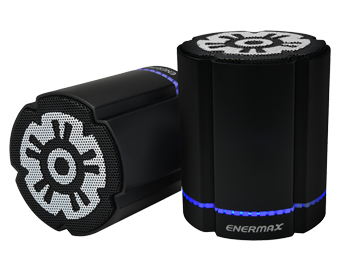 With one 4 watt driver and a passive radiator, STEREOTWIN harnesses Enermax DreamBass™ technology to generate rich bass sound. 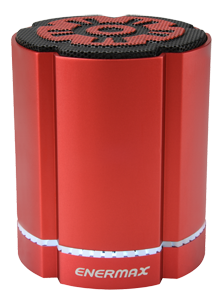 Premium aluminum housing makes the speakers sleek yet durable. 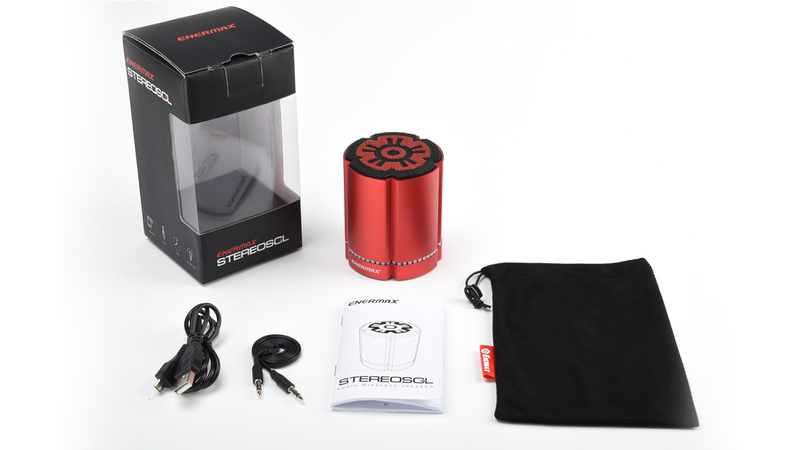 The shock-absorbing rubber at the bottom keeps the speaker in place despite heavy vibration as audio is playing. The ambient operation light creates a touch of premium elegance. 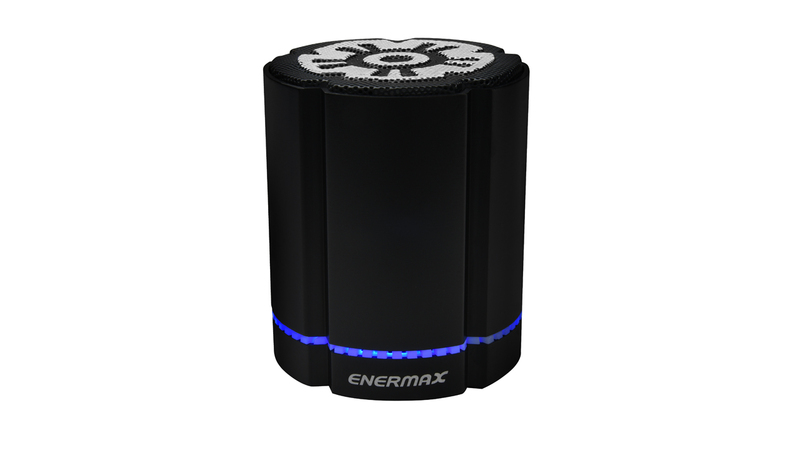 Easy access interface allows users to wirelessly access to play, pause, track forward / backward, volume +/-, and hands-free talking. 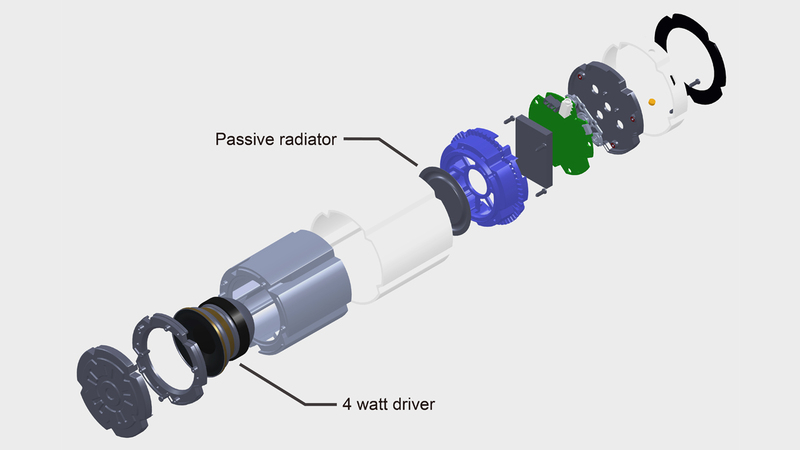 Operating this speaker is simple and straightforward. 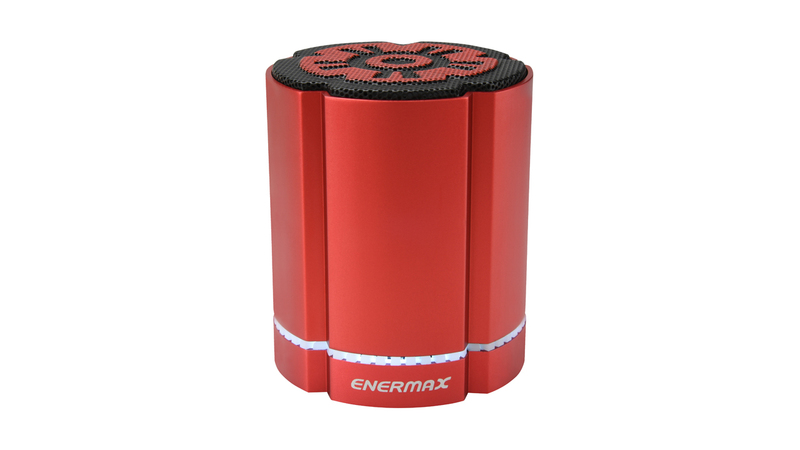 The built-in microphone allows you to accept calls from your Bluetooth enabled phones directly through the speaker.